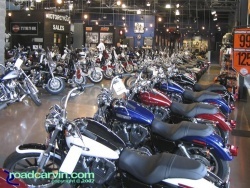 Here's the scoop from a recent CARB certification document for the various Harley-Davidson models. From the documents I've found, it appears that the following 2009 models are certified for sale in California. We'll be updating this page as we find more information; please come back from time to time and see what's new! Author: Michael Curry /// submitted on July 11, 2008 - 9:01pm.